The typical American spends between 45-50 years in the workforce; stashing away money in a 401(k) plan, paying off a mortgage, sending children to college, and paying for weddings. At age 65, the time has come to kick back and take it easy. And yet, most retirees – as well as those steadily working towards that goal – are unknowingly dangling their hard-earned assets over a cliff in a game of chance. Without an umbrella policy, your money is fair game in a lawsuit following an auto or home accident. Nearly all home and/or auto insurance policies have liability limits of $500,000 or less. Yet, approximately 15% of all personal injury settlements exceed $1 million! Stunningly, even among those with a net worth of at least $5 million, fully one in five do not have an umbrella policy. So, your assets are at risk, and you keep hearing about the need to buy an umbrella policy, but what is it? Succinctly, an umbrella policy provides high liability limits to protect you from catastrophic loss. An umbrella policy covers – over and above – the underlying liability limits provided by the coverages in your homeowner’s, auto, boat, ATV, etc. (hence the name). An umbrella protects you from claims involving bodily injury and property damage, as well as any personal injury claim (a lawsuit for slander or libel, for example). Equally as important, an umbrella policy typically pays for attorney fees and other court costs in the event you are on the wrong end of a lawsuit. Imagine you are driving to work Monday morning. You’re tired, you haven’t had your morning coffee, and you fall asleep at the wheel. Or perhaps one of your teenage children is texting a friend while driving. Suddenly, a horrific accident occurs, and the car you hit has multiple passengers, each of whom suffer life-threatening injuries. Just like that, you’re a defendant in a lawsuit seeking $1 million in damages, but you have only $300,000 in liability coverage, maybe $500,000 if you’re lucky. Instantly, your nest egg, your emergency fund, your assets – gone, in the blink of an eye. And don’t think you’re not at risk if you don’t have a ton of toys. Swimming pools, trampolines, zip lines, even a dog bite can leave you on the hook for big money, money that will be consumed rapidly under your home and auto policies. Thus, at a minimum, in a standard middle-class home, you need at least a $1 million umbrella policy. For higher net worth individuals, higher coverage amounts up to your net worth should be added. So, this all sounds nice, but cash may be tight. So, how much does an umbrella policy cost? Surprisingly, an umbrella is extremely affordable. More importantly, the determination shouldn’t be whether or not you can “afford” an umbrella policy. Simply stated, you can’t afford not to have one. Imagine, for example, you are paying $1,500 annually for an auto policy with $500,000 liability limits per occurrence. Now, couple that with a homeowner’s policy (similarly with $500,000 limits) for an additional $1,000. Let’s do the math. Annually, you will be paying $2,500 for $1 million in liability coverage, which equates to $25 per $10,000 in coverage. A $1 million umbrella policy, meanwhile, likely will run between $200-350 a year. Thus, for an additional million dollars in liability coverage, you will be paying between $2.00-$3.50 per $10,000 in coverage. The savings are significant, and the benefits even more so. 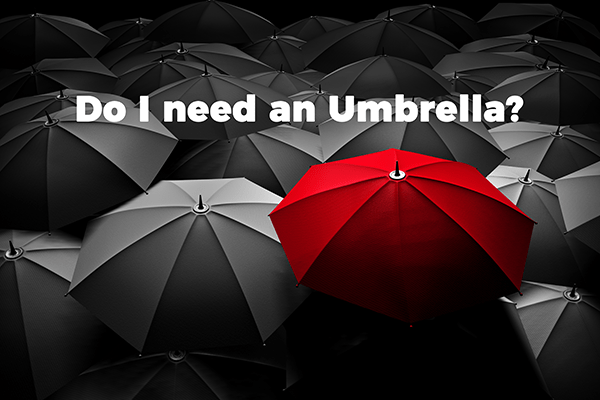 Given the minimal cost involved, an umbrella policy should be a no-brainer. Allow us to help. For a couple hundred dollars, we can put a personal umbrella policy in place that really will give you peace of mind when that unexpected rainstorm comes. That’s coverage you truly can afford. The American Insurance Group is a locally-owned, independent insurance agency in downtown Chattanooga. The Agency provides risk-management solutions for businesses and individuals. 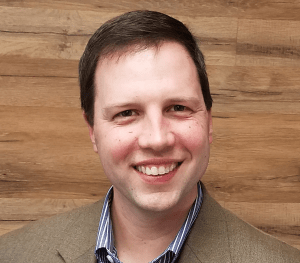 Scott Simmons is a Partner at The American Insurance Group and a licensed attorney. You may contact him at scott@insurancegroup.us or via telephone at (423) 362-4166.